Sergio Martinez has supported Roman Gonzalez to be the successor to Floyd Mayweather Jr. but says boxing needs more fighters that can propel it to the next level. 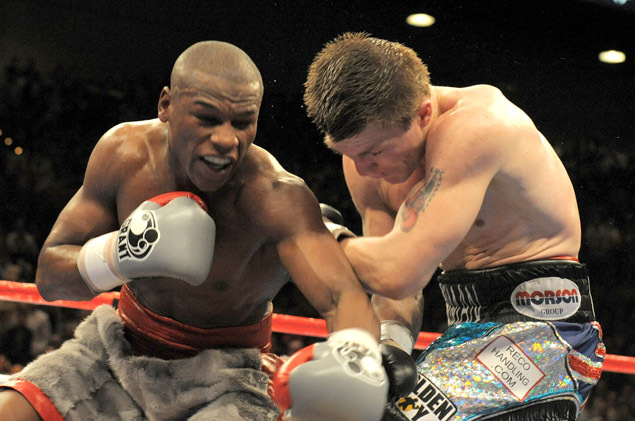 Mayweather achieved beyond the expectation of an average boxer in the last ten years of his career spanning about two decades and is he is still being mentioned in conversations regarding today’s big names despite having retired since September 2015. The former middleweight champion Martinez, who was slated for a fight against Mayweather at the tail end of his career, sing the praise of the 39-year-old while addressing speculations of possible fights against MMA star Conor McGregor and current 160 pound Gennady Golovkin. “I think boxing really needs fighters like Floyd Mayweather, but it is now a strange time in boxing,” Martinez exclusively informed World Boxing News. Having not fought in a competitive fixture since suffering a devastating defeat at the hands of Miguel Cotto last year, Argentine boxing legend Sergio Martinez could just be heading towards retirement. It was clear during that bout against Cotto that Martinez was not in his peak physical condition and it became very clear that he had not overcome the accumulated damage his right knee had suffered – though he had the general leading other way ahead of the fight. Since then, he has spent the last ten months in Spain, his adopted home, trying desperately to treat the various ailments that ail his right knee in the hope of negating yet another surgery that would surely end his career once and for all. However, the results have not been there. The treatment has not gone as he would have hoped for and now, he is intimating that it might just be time to hang up the gloves. Abel Sanchez, the trainer of Gennady Golovkin noted that the next opponent for Golovkin is going to be Martin Murray. Sanchez thinks that the tactics that Golovkin follows during the fight will make Murray get absolutely chopped down on 21st February match at the Salle des Étoiles in Monaco in Monte Carlo. Sanchez thinks that if British fighter comes out in full force using his tactics, he will last a maximum of 3 to 4 rounds but, if he doesn’t use his clam shell guard just the way he has done in his fights against Felix Strumand Sergio Martinez, he is surely to be reduces into a pile of dust at Monte Carlo.